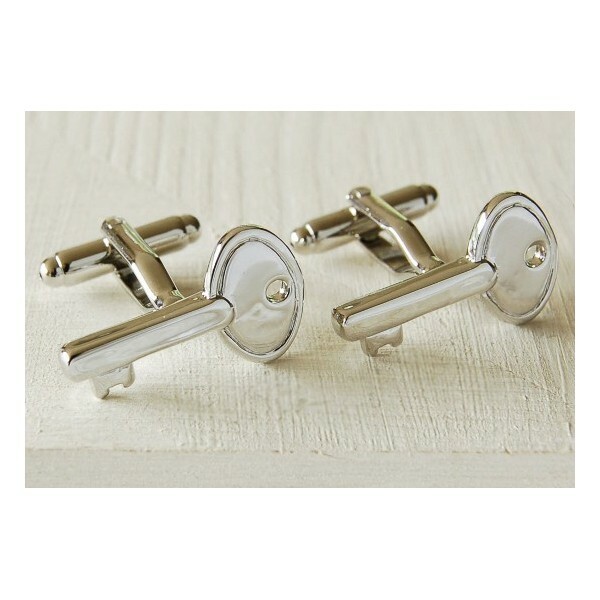 Key shaped cufflinks made from steel plated brass. Approximately 2.5cms in length. Ideal present for 18th or 21st Birthday! 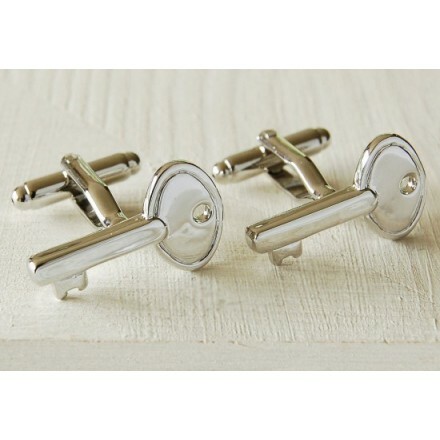 Stylish Key shaped cufflinks with twist and turn fastening are lready attracting a lot of attention.